Maple Grove Heating and Air Conditioning Contractor. Maple Grove residents and business owners have trusted Minnesota Heating & Air Conditioning with their heating and cooling needs for years, helping with energy efficiency and the maintenance of a comfortable environment. We have provided Maple Grove homeowners with quality repair, replacement, and remodeling services that they can count on. If your furnace or air conditioner is not acting like itself, then it may be time for repairs, remodeling of the existing unit, or replacement. Which you need will be determined by what exactly is wrong with the unit. Sometimes repairs are enough and other times replacement is exactly what is needed. When a furnace or air conditioner needs to be repaired, it is important to have a Maple Grove heating and air company working for you that has all of the tools and parts that are needed to get the job done as soon as possible. We understand that it is important for you to have temperature control in your home or business. Minnesota’s weather can go from one extreme to the other throughout the year, so proper temperature control is a must. 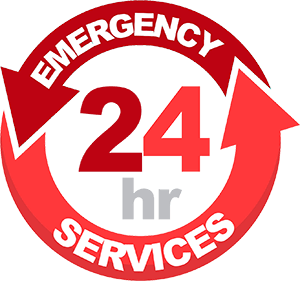 We also offer 24/7 emergency services if a situation comes about that needs to be rectified immediately. Nonetheless, we will tell you exactly what is wrong, what needs to be done to fix it, and will ensure that you have all of the information that you need throughout the process to make the right decisions regarding your heating and air conditioning. That way you know that any decision that you have made is the right decision. If it is found that your heating or air conditioning unit needs to be replaced, we can replace it for you. 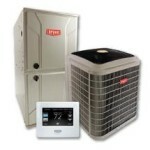 We keep the right tools and products on-hand so you can have a quiet and energy efficient furnace or air conditioner. When your unit is energy efficient, then you are going to save a great deal of money on your energy costs. You are going to be able to keep more money in your pocket, which means you will achieve a return on investment. This also reduces your carbon footprint and makes your home friendlier to the environment. This is something that benefits everyone around you and beyond. So if you need your unit replaced, we will discuss your options with you so that you know you are making an informed decision about your purchase. Your heating and air conditioning is very important, which is why you need to address it as soon as the unit begins to behave as if something is wrong. Sometimes the slightest different can mean a large problem is on the horizon. If you need to have your air conditioner or furnace repaired or replaced, we can help you. Call Minnesota Heating & Air Conditioning at 763-424-5235 to schedule an appointment.